Annatto is a red powder derived from the seeds of the achiote tree. This ingredient is popular in Latin American and Caribbean cuisine for its flavor and color, has been used medicinally, and is the source of annatto dye. See: Annatto extract. 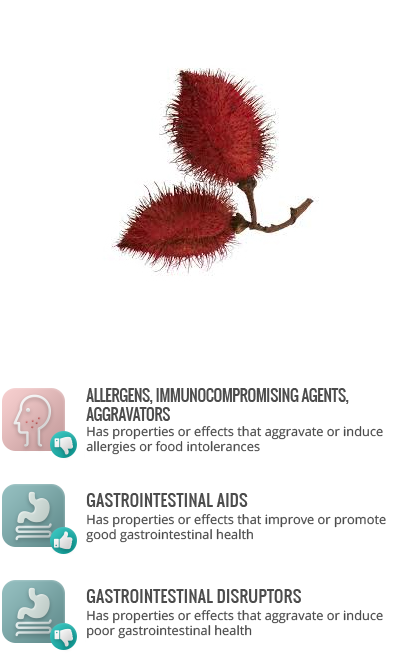 Annatto has been used in alternative medicine to treat heartburn. There have been some reported cases of annatto allergy and of annatto triggering irritable bowel syndrome.